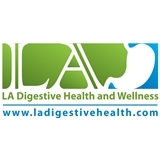 LA Digestive Health and Wellness (Los Angeles) - Book Appointment Online! We welcome you to visit our website at www.ladigestivehealth.com, one of the most comprehensive sites to learn about various gastrointestinal conditions as well as up to date information about promoting healthy living. We specialize in the diagnosis, treatment and prevention of many gastrointestinal, liver and pancreaticobiliary disorders. Our goal is to provide all our patients with the necessary information, tools and resources to understand any digestive health issues that arise. That’s why we’ve developed a website loaded with valuable information about various gastrointestinal digestive health conditions in addition to management and treatment options. We know how hectic life can be and are committed to making our practice convenient and accessible. We want you to feel confident that you’re working with professionals who are qualified, experienced and caring.